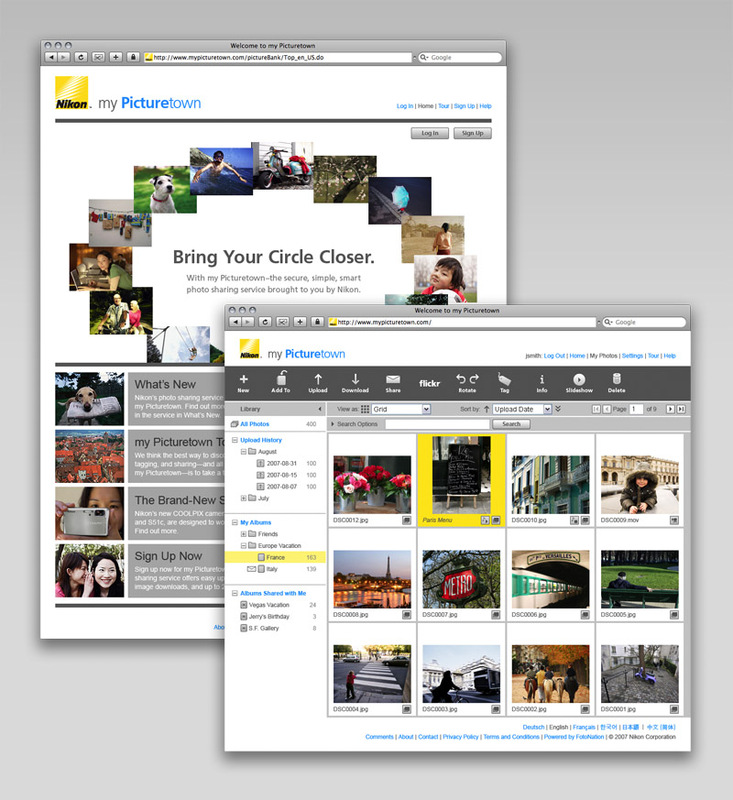 Nikon’s my Picturetown service is the only photo storage and sharing site created by a camera manufacturer. Wi-Fi-enabled Nikon camera users can upload images directly to the site—essentially eliminating the PC from the equation—creating an integrated hardware and software service. We worked with Nikon to design the interaction and visual design of the site. 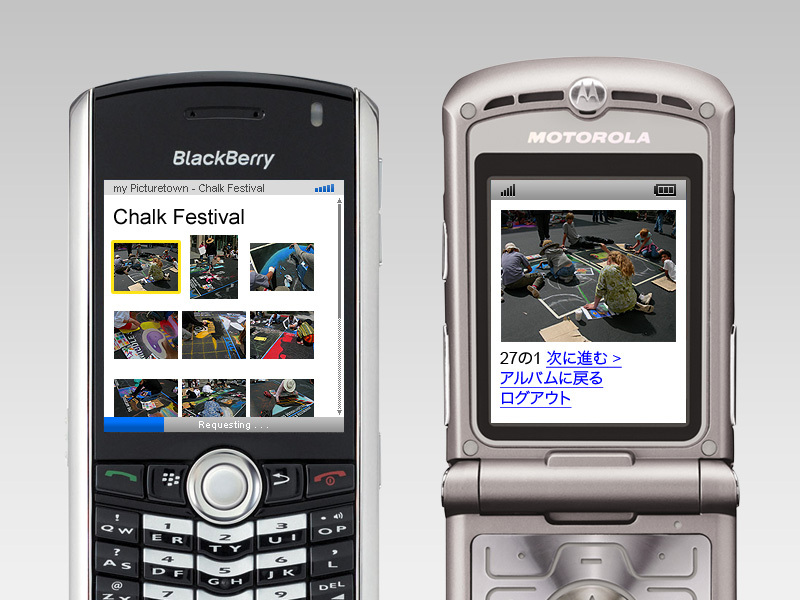 In addition to the online service, we designed mobile versions of the site which worked on select U.S. phone and the majority of Japanese market DoCoMo phones.